Denzong Sherpa Association (DSA) is going to organise a day-long ‘Solidarity Meet’ on December 14 at Singtam Bazaar in East Sikkim. The State-level meeting to discuss the one-point demand of DSA for a legislation to protect land belonging to Sherpa community under Revenue Order No 1 in the upcoming Assembly session to be held from December 19. 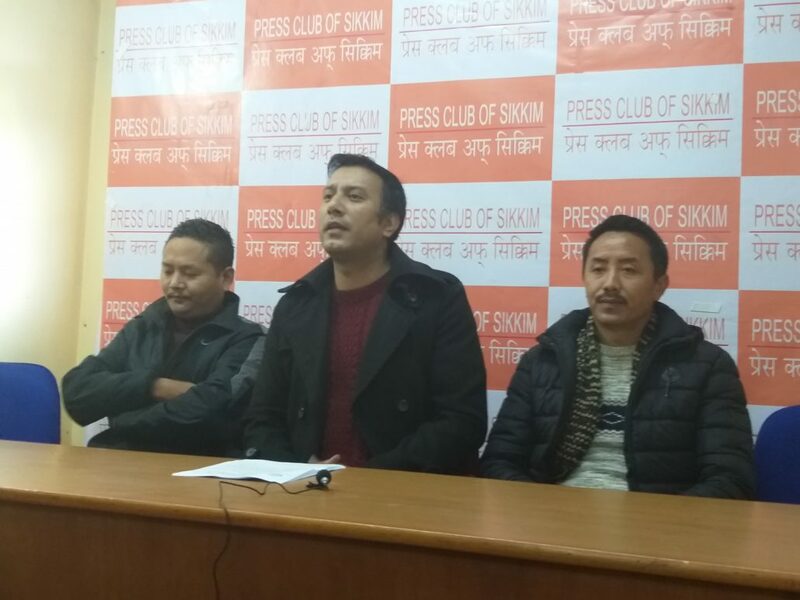 Addressing a press conference here on Saturday, DSA spokesperson Passang Sherpa expressed that Sherpa community was politically, socially and economically backward than other communities of Sikkim. “In such difficult time for Sherpa community, DSA requests Bhutia, Lepcha, Nepai and old settlers of Sikkim to come tighter to show their solidarity on our constitutional demand,” he said. Sherpa informed that the Association has been writing to different community organisations for their participation and support to the demand. He added that many community organisations have already assured their participation in the meeting. He urged members of Sherpa community in Sikkim for their participation in maximum numbers to show the unity and seriousness towards the demand. “We have not invited any political party of Sikkim but as we think this is test for them whether they would come themselves or not in the interest of Sherpa community,” he added.